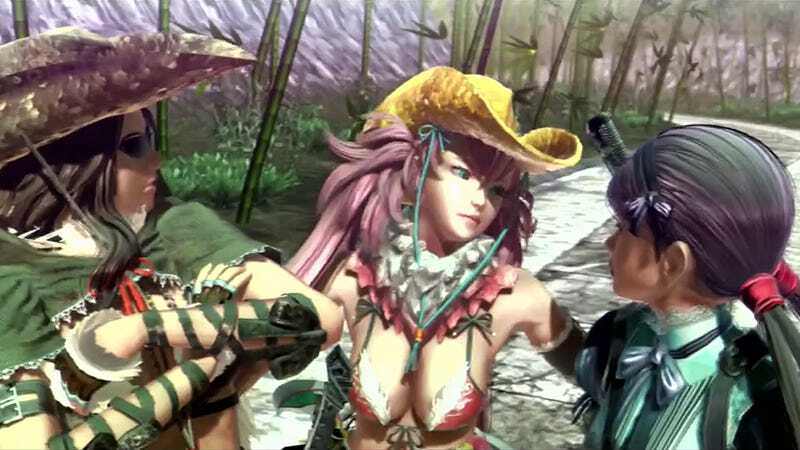 Going into OneChanbara Z2: Chaos, I was expecting a lot of fanservice and some surprisingly enjoyable hack-and-slash action. However, I was not expecting an excellent soundtrack to carry me through the six hours it took to beat the game. So here is some of the game's best music to slay zombies to. This upbeat j-rock sound has great female vocals and a lot of fun with autotune. It also serves as the theme song for the game. This is the theme song to the previous installment of the series OneChanbara Z: Kagura. This one is a song that would stylistically fit on the Persona 4 soundtrack and is likewise a lot of fun. This is an exciting track featuring a hard rock guitar in the background with a violin carrying the melody. This one has a good dance beat and a soprano voice sample to go along with it. Honestly, it reminds me of something you might find on the dark side of Sonic Adventure 2's soundtrack. This one feels like a classical music dance club-style remix. The piano carries the awesome melody with a strings section to back it up. Who doesn't love a Spanish guitar and a pan flute over a good drum line? This China-inspired track takes a traditional Asian chord structure and gives it an electric guitar for backup. The result is pretty darn beautiful.